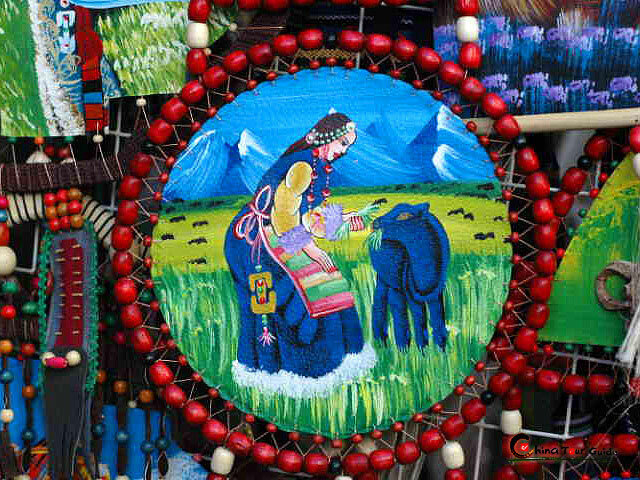 Featured tibetan-style painted wall at Gonggar Airport. Interesting Buddhism debate at Sera Monastery. Don't miss this! 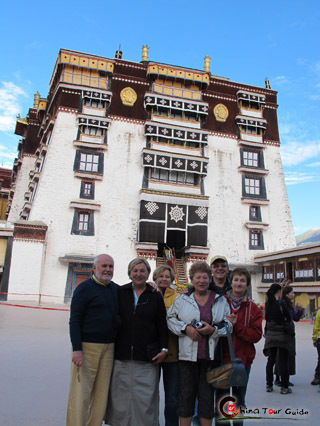 Come to join our group tour to discover an amazing Tibet in 6 days at unbeatable price. 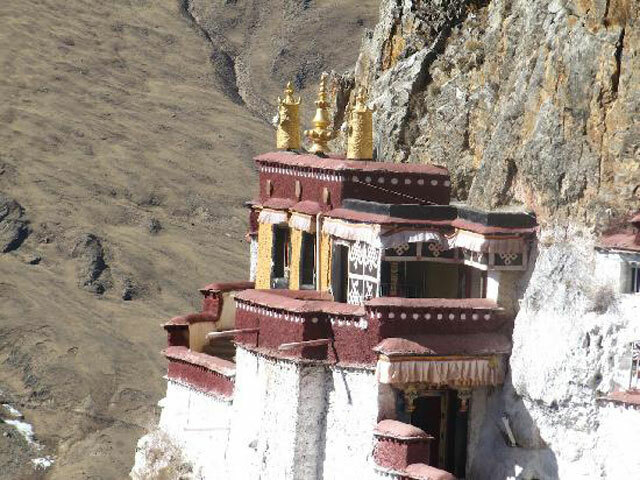 Let us delves into Lhasa, Gyantse and Shigatse, getting a complete impression of Tibet's religion, cultural treasures, and dreamlike landscape. 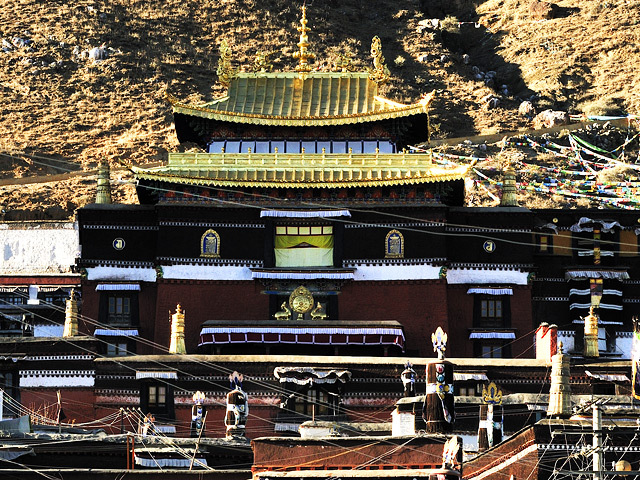 From mysterious Potala Palace to Holy Yamdrok Yumtso Lake, you will grasp the whole image of Tibet with new friends! 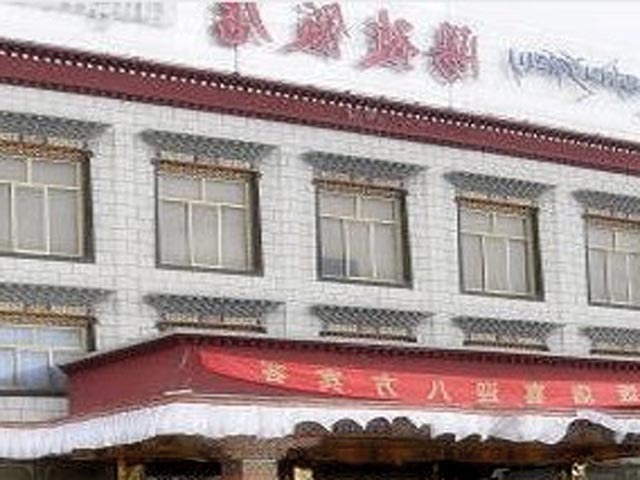 Today's Activities Upon your arrival at Lhasa, our Tibetan local guide and driver will pick you up at Gonggar Airport or Lhasa Train Station at fixed time, then transfer you to downtown hotel. The rest of the day is free for you to adapt yourself to the high altitude of 3,658 meters above sea level. 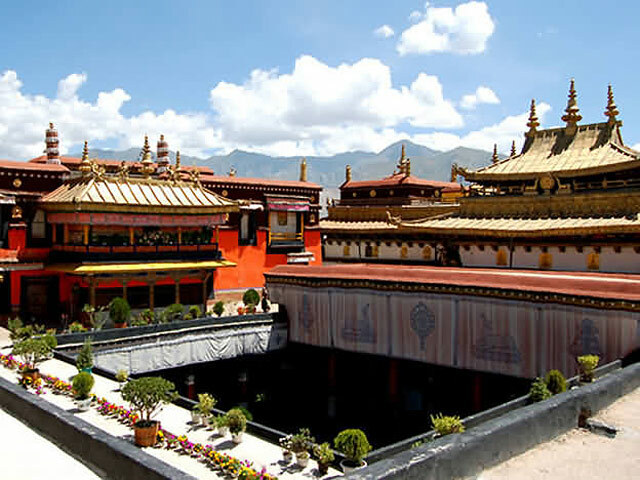 Later, the next visit is Sera Monastery, the second monastery in Tibet. Distinctively its famous debating activities are holding around 3-4pm regularly every working day that you should never miss. . It believes that this day must leave a lifetime memory for your whole life. 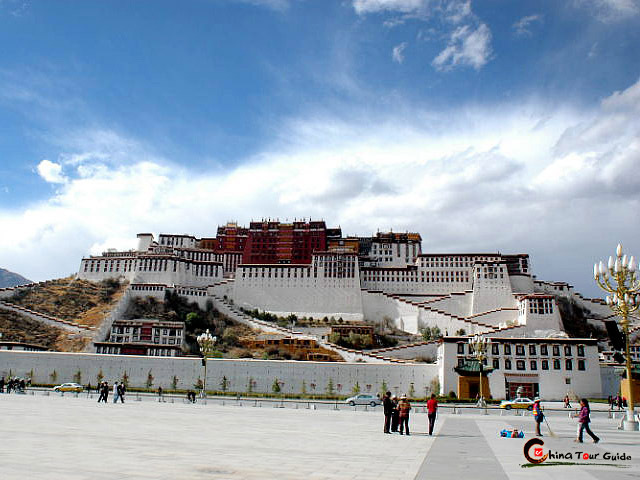 In the morning, you will visit the world's highest palace - Potala Palace, which originated from 7th century and once homed to Dalai Lamas. 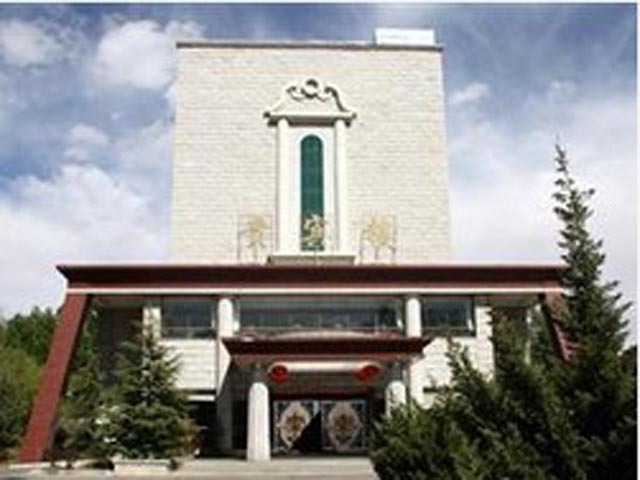 Atop the palace, you can enjoy a bird-eye view of the whole Lhasa. 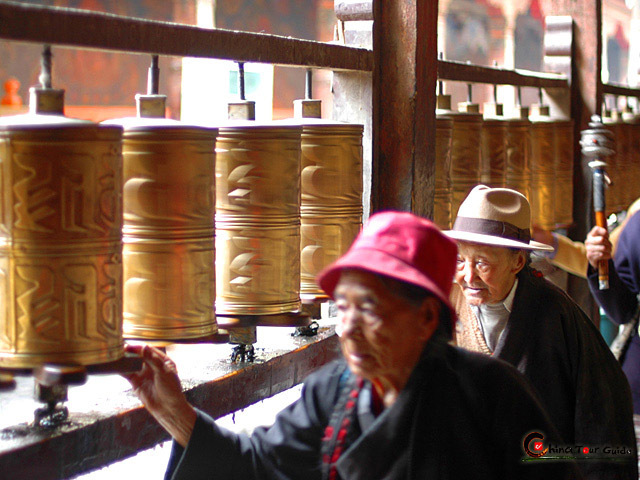 As the spiritual center of Tibet, Jokhang Temple, we head for later, docorated with Buddhist prayer wheels, reclining deer, golden sutra streamers and so on, will deeply impressed you by its magnificence and sincere pilgrims. 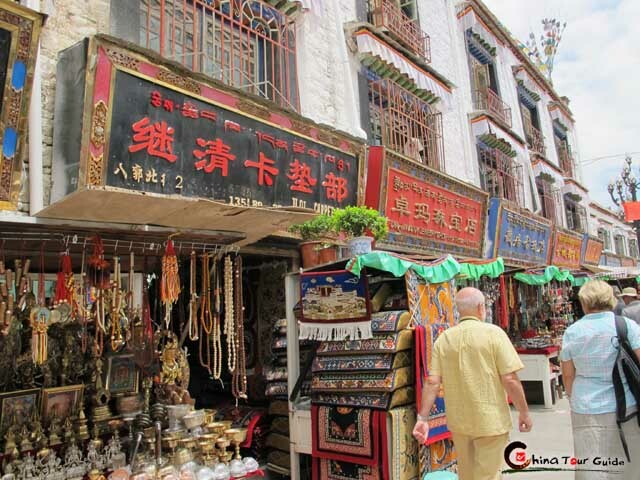 Barkhor Street, hugging the jokhang temple, is regarded as the crowded central Market in ancient section of Lhasa, and at where you can buy various Tibetan or other minorities' souvenirs for your family and friends. 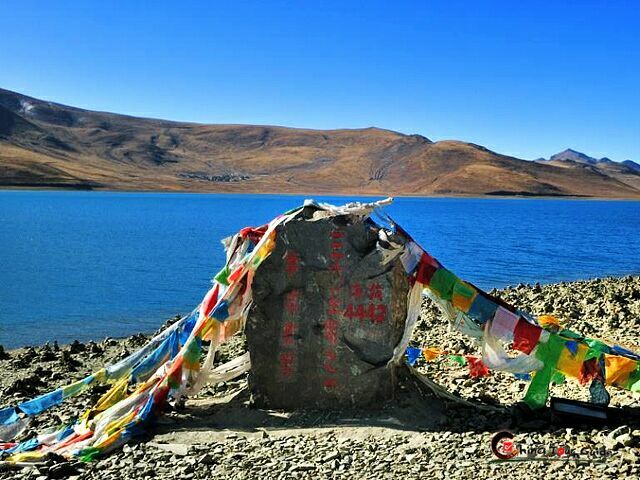 Today's Activities After two days' visit of Tibetan human landscapes, today we will drive up about 1.5 hours to Kambala pass (4794m high) from Lhasa to appreciate the beautiful natural views of the famous Sacred Lake of Tibet - Yamdrok Yumtso Lake. The surface of the lake seems like a green jade, hence it is praised as the most beautiful lake all over the world. 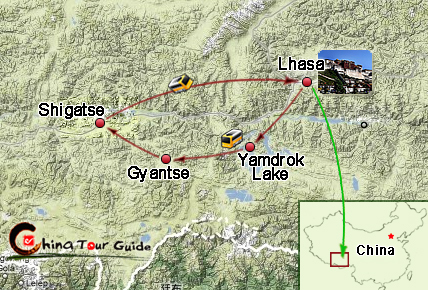 Then drive about 1.5 hours and arrive at the foot of Naiqinkangsang Snow Mountain. 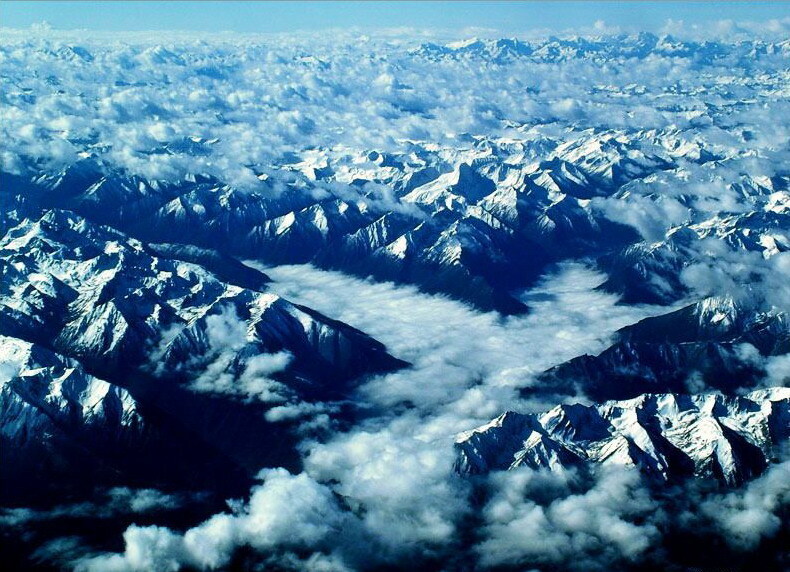 It is one of the holy mountains of Tibet. 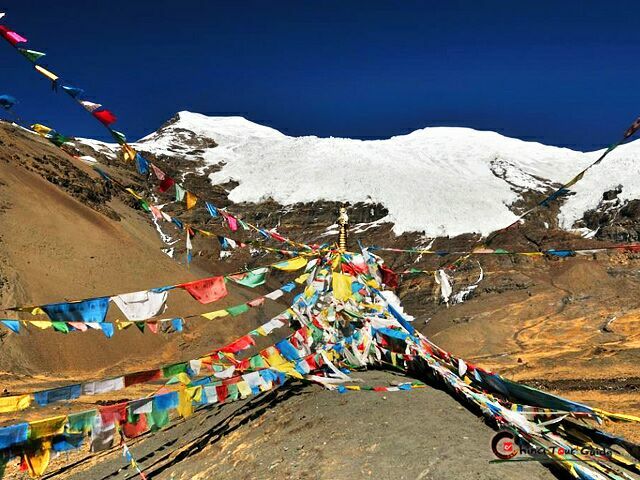 If you look up to the Snow Mountain, you'll see the beautiful "flag cloud" (the creature of the wind and the snow) floating and shining in the air. 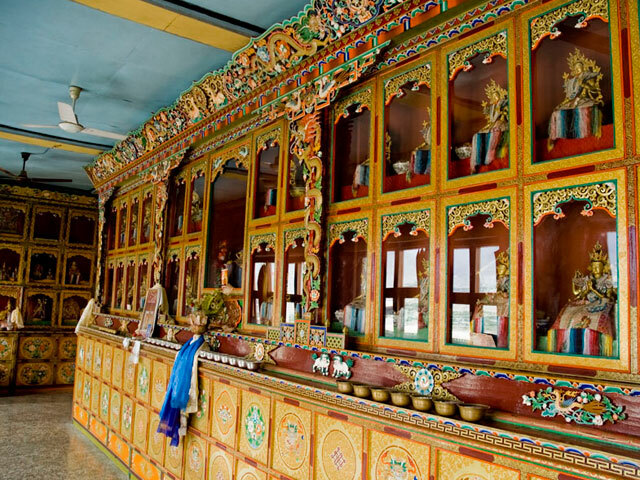 Later with passing by the famous Karo-la Glacier (5,560m), take a visit to Palkhor Monastery, well-known for its Kumbum, which has 108 chapels in its four floors, filled with unique religious statues and murals. 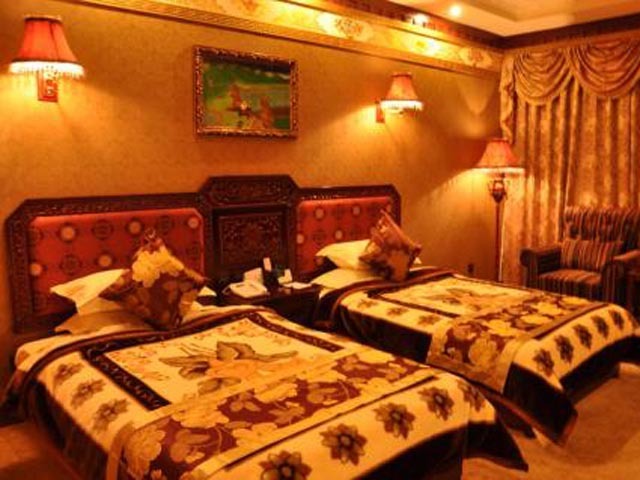 Stay overnight at Shigatse. 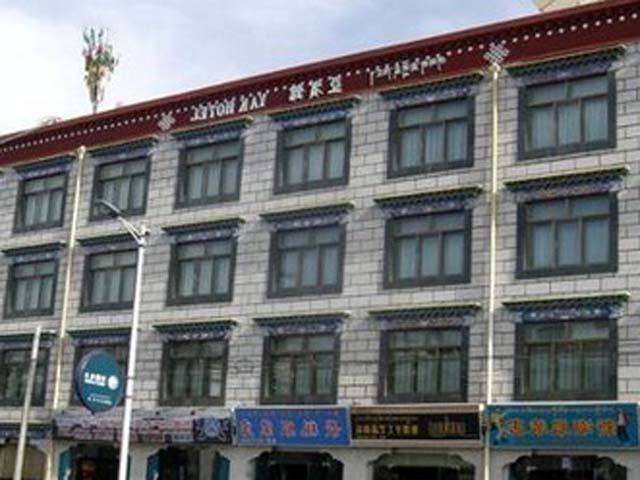 Today's Activities After breakfast, you will visit the most famous tourist spot of Shigatse - Tashilhunpo Monastery. 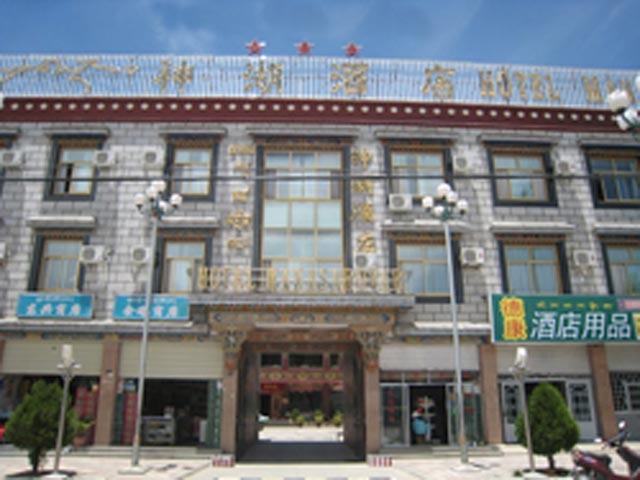 It was founded by the First Dalai Lama in 1447, and expanded by the Fourth and successive Panchen Lamas. Later on the way back to Lhasa, we set an optional item on your own expense if you would like to, seeing the Dolma Lhakhang Temple. The temple was believed to be built by the famous monk Atisha. 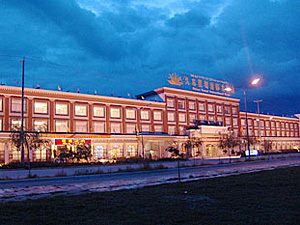 And it is located in Nyethang (approx. 30 kilometers southwest of Lhasa) district, Chushu County. 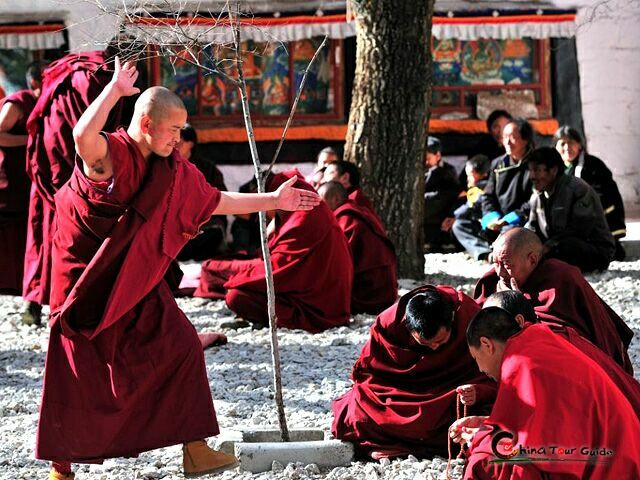 Here you can know more about Tibetan religion culture. 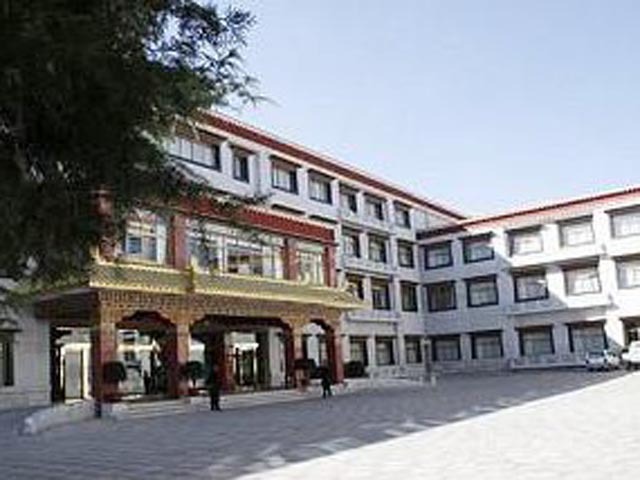 At Last, we will drive back to Lhasa, staying overnight here. 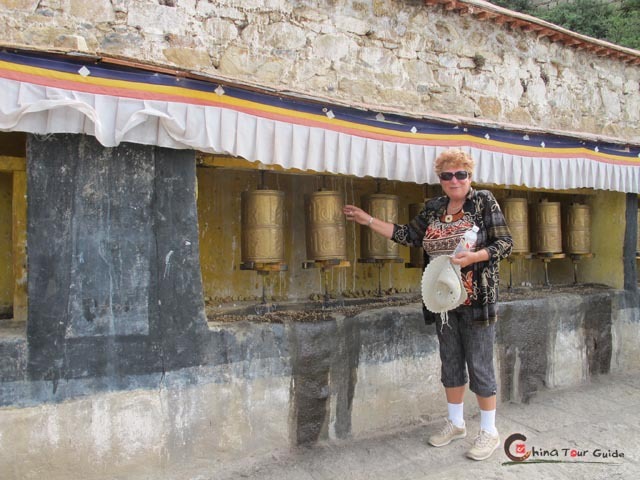 Travel Tips ChinaTourGuide.com released a exclusive blog based on our customer's real traveling experience for your sharing: Six Day Journey to My Dreamland - Tibet. 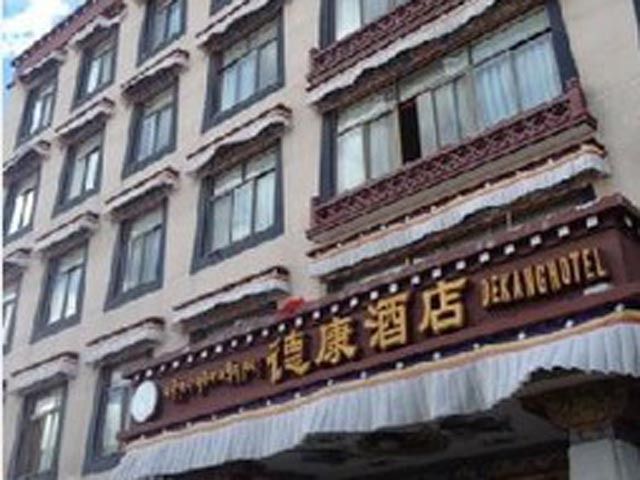 Today's Activities This is your last day in Tibet, after breakfast, you can enjoy free time till you leave for airport or railway station. Kingly remember the free transfer time mentioned above, otherwise you would leave by your own. And hopefully it will leave you unforgettable memory and may you have a wonderful journey home.